Hobbies can sometimes easily be turned into a money making business. If your hobby is photography and you you’re good at it, you could make some extra cash selling your photographs online. Here’s how to do that. Stock photography is probably one of the best ways to start selling your photographs. There are literally dozens of websites where you can upload your photos. On these sites people can then purchase your photos to use them on websites, newsletters, magazines and other media. However, the competition is fierce. Hundreds, if not thousands, of photographers do this, which means that in order for you to get your photos sold they have to be of high quality as well as cheap. This in turn means that for you to make any kind of serious money off your photos you will have to upload dozens or even hundreds of good quality photos. So, do you think you’ve got what it takes? Start by doing some research. 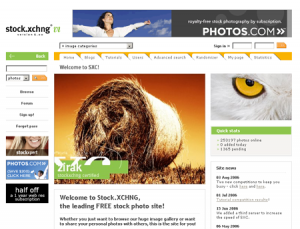 Check out the most widely used stock photography sites to get an idea of what’s on offer, what customers might be looking for, and also what kind of quality is needed. Remember that even the cheapest stock photography sites will turn your photos down if they’re not good enough. Your photos should be high resolution – customers will be able to buy your photo in different sizes/resolutions depending on what they need it for. The higher resolution a customer wants, the higher the price. Try to be unique – don’t submit the same kind of photos that already exists in their hundreds on the site. Unless they happen to be exceptionally good, they will most likely not get accepted. Try to see what kind of photos are missing or at least are very few in numbers. Selling your photos online will not make you rich, but providing you’re good and you manage to sell at all you could possibly see some nice extra cash coming your way. In the meanwhile, start taking photos, lots of photos! The Canon EF 50mm lens is compact, inexpensive and boasts of a fast f/1.8 aperture. This is a great zoom lens for photographers who are searching for a fixed focal length. The EF lens weighs just 4.6 ounces, the least heavy Canon makes, yet due to its Gauss-type optical design it gives really clear images. This brings about an image provided by the lens, which is very close to how the eyes really view the subject. It is a fantastic lens when natural depth of field is essential for the photographs or portraits. You have the capability to take pictures of subjects very closely since this zoom lens can focus at just 18 inches. The color balance provided by this zoom lens is excellent, and there’s an one-year warranty, like all other Canon lens. The opinions by the customers have been largely rather good, where it was a lot better than expected by many, and less than expected by others. It looks like it depends on what the expectations were. Sometimes, the customer expected more after reading through the description of the lens. Other products which exaggerate what their product is able to do, are worthy of dissatisfied customers. Generally, this lens seems to meet the expectations of the purchasers. Many purchasers were dissatisfied that the housing was completely constructed of plastic materials. Because of its flimsy structure in comparison to other lenses, you must be very careful not to drop it. Everything except for the glass is bare bones, so you should be aware of that. Because this camera lens is rather inexpensive as compared to others, it’s worth giving it a try. It may meet your lens requirements and therefore could certainly save you some money over buying a more costly lens. Unless you are an experienced photographer, you might not even know the differences, so start lower and work your way up, as you learn and become better at shooting photos. As you would expect, there is a learning curve to using this lens which will vary with your particular earlier experience. The Canon EF 50mm f/1.8 II Camera Lens still provides top lens quality with the exception that the housing is made of lightweight plastic in lieu of something tougher. The suitability of this zoom lens varies with your particular photography abilities; it may work well for you or it may be a let-down. 1. Good quality pictures that are easy to obtain for the reciever can increase the turnover rate of your product. 2. The pictures should have a high technical quality, i.e. be right exposed and sharp. 3. 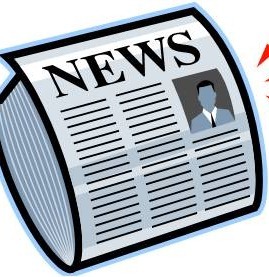 Pictures meant for print media should have a resolution of 300 dpi and be as big as you want it to be in print. This means that a picture you want to be printed on a whole A4 page should be 29.7 cm at 300 dpi. Pictures meant for digital media only need to have a resolution of 72 dpi. 4. Photos can be saved as jpg with high quality. Logotypes and other vectorized pictures (illustrations) should be saved as eps. 5. Make it easy for those who wants to use your pictures. If one can download press material from your website, make sure they’re easy to get to. You usually don’t need special logins and passwords.